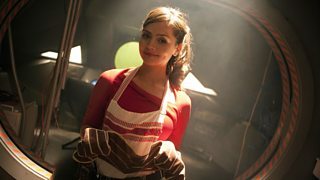 Jenna Coleman’s Doctor Who debut gave us the smart, sassy ‘soufflé girl’ version of Clara. Frankly, she even made a planet full of mad Daleks seem like our kind of holiday destination. It’s great to see Clara enjoying her adventures with the Doctor! The shenanigans on the Orient Express convinced her to not call time on the Time Lord so we’ll always be grateful to that particular train journey for putting Clara back on track! 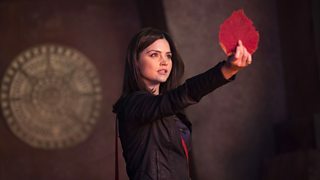 With the Doctor stuck in the tiny TARDIS it was up to Clara to ‘be’ the Doctor in Flatline. Best (stand in) Doctor ever? Take a Deep Breath… The Ego has Landed! Hats (or fezzes) off to Clara who never backs down from danger. 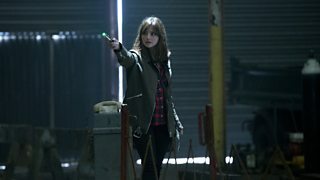 This moment from The Rings of Akhaten where she squared up to a foe even the Doctor couldn’t defeat really saw her taking a leaf out of his book! Clara’s attitude to the kids in her class is A+ and when one asked for extra work, her reply – ‘Who asks for homework? Amateur!’ – was one of our faves. 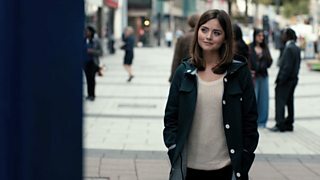 In Dark Water, Clara risked everything for the man she loved and was even willing to betray the Doctor. Zero out of ten for good ideas but 11 out of ten for determination. 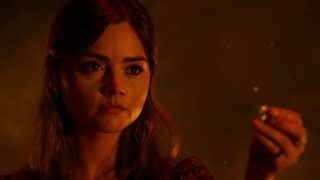 Unlucky 13 brings is to the moment in Death in Heaven where she was willing to let the Doctor go, simply because she thought he’d be happier back on Gallifrey. No big speeches, no monsters in the room… Just an act of selfless devotion. 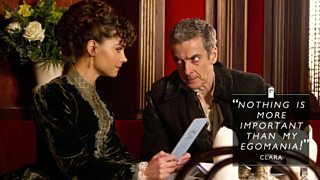 It’s one of the reasons why Clara – and not just the Doctor – is a hero.